D David Musil (Vancouver, Edmonton, 2009-13) has had his KHL rights traded by SKA St. Petersburg (Russia) to CSKA Moscow (Russia). Musil was St. Petersburg’s first-round pick (12th overall) in the 2010 KHL draft. Musil's rights were traded with the rights to Marcus Johansson (Washington, NHL) in return for the rights to Nikita Kucherov (Tampa Bay, NHL), Nail Yakupov (St. Louis) and CSKA player Danila Kvartalnov. This season, Musil had four goals and 10 assists in 47 games with the Bakersfield Condors (AHL), and four assists in 13 games with the Tucson Roadrunners (AHL). Musil becomes an RFA in the NHL on July 1. . . .
D Dave Sutter (Seattle, 2010-12) has signed a one-year contract with the ZSC Lions Zurich (Switzerland, NL A). This season, with Biel-Bienne (Switzerland, NL A), he had two goals and 15 assists in 50 games. . . .
D Kirill Vorobyov (Portland, 2012-13) has been traded by Sibir Novosibirsk (Russia, KHL) to CSKA Moscow (Russia, KHL) as part of a 5-for-1 deal. This season, with Torpedo Nizhny Novgorod (Russia, KHL), he had three goals and four assists in 35 games; he also had one goal in 16 games with Sibir Novosibirsk. . . . Vorobyov and four others were traded by Sibir to CSKA for one player and monetary compensation. . . .
D Tomas Slovak (Kelowna, 2001-03) has signed a one-year contract with Piráti Chomutov (Czech Republic, Extraliga). This season, he had two assists in 16 games with Plzeň (Czech Republic, Extraliga). He also was pointless in three games with Žilina (Slovakia, Extraliga). . . .
D David Němeček (Saskatoon, 2013-14) has signed a one-year contract with Mladá Bloeslav (Czech Republic, Extraliga). This season, he had eight assists in 27 games with Plzeň (Czech Republic, Extraliga). . . .
F Ondřej Najman (Spokane, 2016-17) has signed a one-year contract with Mladá Bloeslav (Czech Republic, Extraliga). This season, with the Chiefs, he had five goals and 20 assists in 65 games. . . .
F Pavel Kousal (Spokane, 2016-17) has signed a one-year contract with Mladá Bloeslav (Czech Republic, Extraliga). This season, he had seven goals and three assists in 49 games with Spokane. . . .
D Mitch Versteeg (Lethbridge, 2006-09) has signed a one-year extension with Nitra (Slovakia, Extraliga). This season, he had three goals and eight assists in 43 games. Kolesar was tossed from the final game of the Western Conference final in Kelowna on Sunday at 16:08 of the first period He was given a checking-from-behind major and game misconduct for a hit on Rockets D Devante Stephens, who left and didn’t return. The Thunderbirds won that game, 3-1, to take the series, 4-2. They will open the championship final against the host Regina Pats on Friday. In these playoffs, Kolesar leads Seattle in goals (9), assists (13) and points (22), all in 14 games. The Thunderbirds likely will be missing D Ethan Bear, too. He has five goals and 11 assists in 11 games, but has sat out the last three games after suffering an injury to his left hand while blocking a shot late in Game 3. Bear took the pregame warmup prior to the last two games, but was scratched. He has been wearing a soft cast on his left hand, with the index and middle fingers splinted. It really will be unfortunate if Bear isn’t able to play. He is from the Ochapowace First Nation near Whitewood, Sask., which is two hours east of Regina on the Trans-Canada Highway. A role model for the youngsters in that area of Saskatchewan, Bear has a huge following there. I will be quick to admit that I no longer pay a whole lot of attention to the bantam draft and all that leads up to it. However, there are people who do and some of them certainly do it with a whole lot of TLC. Tyler Neisz, the owner and director of scouting at Western Elite Hockey Prospects, is one of those people. If you are into following the bantam draft, which is scheduled to be held in Calgary on Thursday, you may want to take a look at WEHP’s preview which is, in a word, thorough. In its 70 pages, you will find WEHP’s top 208 2002-born players, which will get you through more than nine rounds. There also are, among other things, thumbnail scouting reports on WEHP’s top 80 prospects and a two-round mock draft, along with a list of the top 164 2003-born players and top 59 2002-born players from the western U.S.
Guhle is the younger brother of D Brendan Guhle, who was selected by the Prince Albert Raiders with the third overall pick of the 2012 bantam draft. The Raiders, who dealt Brendan to the Prince George Cougars this season, just happen to have the No. 1 pick in Thursday’s draft. For more info, visit WEHP’s website right here. Those in junior hockey circles believe Bloomington coach Dennis Williams is frontrunner to land Everett job in WHL. The Everett Silvertips are in the market for a head coach after announcing on April 18 that Kevin Constantine’s contract wouldn’t be renewed for a fifth season in what was his second go-round with the team. Brad E. Schlossman, who covers NCAA hockey for the Grand Forks, N.D., Herald, posted the above tweet on Monday afternoon. Dennis Williams, a native of Stratford, Ont., is nearing the end of his third season as the general manager of hockey operations and head coach of the USHL’s Bloomington, Ill., Thunder. Last season, the Thunder, one season after going 29-24-7, went 36-18-6 in the regular season, then fell one victory shy of winning the league’s playoff championship. Before joining the Thunder, Williams was the director of hockey operations and head coach of the NAHL’s Amarillo, Texas, Bulls. He was director of hockey operations for the franchise’s inaugural season (2010-11), then went 198-58-26 in three seasons as head coach. The Bulls finished atop the South Division in each of the three seasons, and won the NAHL championship in 2012-13. 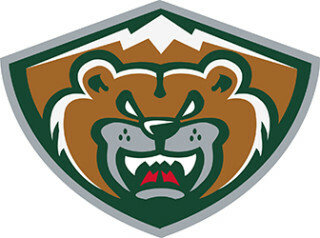 Garry Davidson, the Silvertips' head coach, has said he will get down to the business of a coaching search after Thursday's WHL bantam draft. The Tri-City Americans have signed F Connor Bouchard to a WHL contract. Bouchard, 16, is from Cochrane, Alta. He was an eight-round selection in the 2016 WHL bantam draft. Bouchard played the past three seasons at the Okanagan Hockey Academy in Penticton, B.C. This season, he had 53 points, 18 of them goals, in 30 games with the Midget Prep White team. The Spokane Chiefs will be in the market for two new players when the CHL holds its annual import draft in June. As you will have noted above, according to The MacBeth Report, F Pavel Kousal and F Ondřej Najman, both of whom played with the Chiefs last season, have signed to play professionally next season with Mladá Bloeslav of the Czech Republic’s Extraliga. Kousal, from Jihlava, Czech Republic, will turn 19 on Nov. 14. He had seven goals and three assists in 49 games in his only season with the Chiefs. Najman, 19, also is from Jihlava. He also played one season with the Chiefs, putting up five goals and 20 assists. 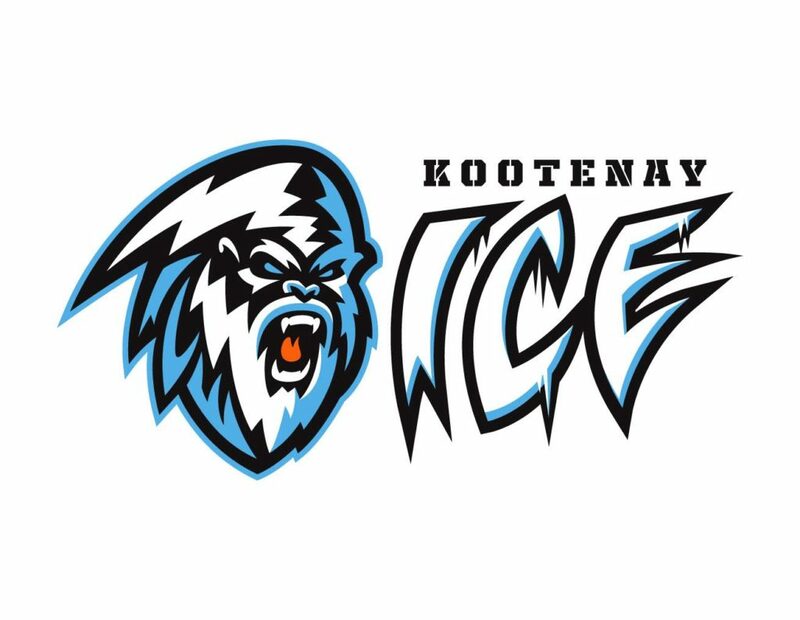 The new owners — Winnipeggers Greg Fettes and Matt Cockell — officially took over the Kootenay Ice on Monday. The first order of business seems to have been the release of a new logo. It showed up in a five-paragraph news release that was posted on the team’s website on Monday afternoon. The new owners, who purchased the franchise from the Chynoweth family, is expected to unveil new-look home-and-away uniforms at some point in the future. 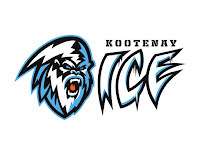 The BCHL’s Salmon Arm Silverbacks are searching for a head coach after Misko Antisin announced that he is leaving, effective May 30, as he moves “back to the U.S. to pursue professional opportunities down there.” . . . Antisin was hired as an assistant coach on June 23, 2014. He left the team prior to the start of this season to take over as head coach of the Steamboat Wranglers of the Rocky Mountain Junior Hockey League, a team owned by the Silverbacks’ ownership group. . . . Antisin returned to the Silverbacks on Nov. 14, taking over as head coach after Brandon West was fired. . . . This season, the Silverbacks went 24-28-3-3, finishing sixth in the six-team Interior Division, just four points behind the third-place Trail Smoke Eaters. . . . Salmon Arm dropped a first-round playoff series to Trail in five games.